I'll be back at The Corner Store in San Pedro, California showing some new canvases and prints. Join me Saturday, June 7th and Saturday, June 14th from 9am to 3pm. Yep, two consecutive Saturdays. 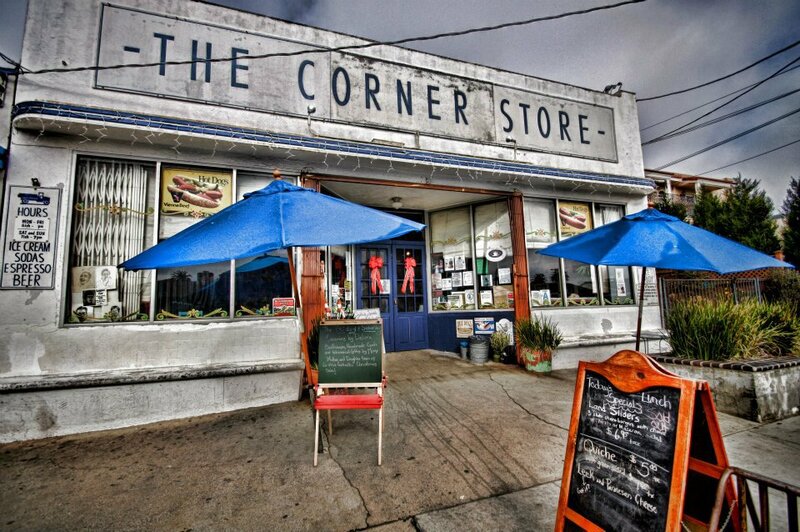 If you have never visited The Corner Store, it's an excellent place for coffee, pastries, sandwiches, burgers and some very friendly people. A block away from the beach with stunning cliff views of the Pacific Ocean. A great way to spend a summer day. I'll be showing my photographs this Sunday, December 8th at The Corner Store from 9am to 3pm. The Alibi Blues Band will be performing from noon to 3pm. Local San Pedro, California artists will have all kinds of art on display and for sale. Excellent burgers, sandwiches, and crazy selection of sodas. Stop by and say hi, grab a bite, then hit the beach. Fun store, and great area to spend a Sunday afternoon. Click photo and check out the Yelp reviews.